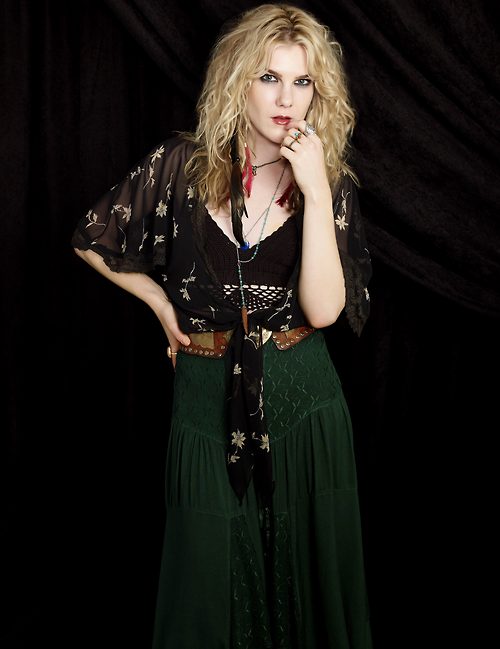 Misty Day who has a deep affinity for Stevie Nicks, who she believes is a witch, returns in tonights episode. The question is what Stevie Nicks / Fleetwood Mac tune will she be grooving to tonight - if any? Misty appeared in episode two and three but was absent from episode four. American Horror Story is reportedly using eight Stevie tracks over the course of this thirteen episode season and so far we've heard three. Episode two featured "Edge of Seventeen" and "Rhiannon". Episode three featured "Sara". With nine episodes remaining to air this season, including tonight, there are five Stevie tracks yet to be heard. Tune in tonight to find out. "Gypsy" or "Blue Lamp" are my guesses for another song. Five more...how awesome is THAT !!?? LOVE Coven! "Gypsy" or "Moonlight (A Vampire's Dream)"
The " Seven Wonders" has been mentioned in a few episodes. I am thinking we will hear that one for sure! I could hear a Stevie song EVERY episode, witchy or not.....I would turn the TV up LOUD and rock a little! Gold dust Woman, my fav for the finale!